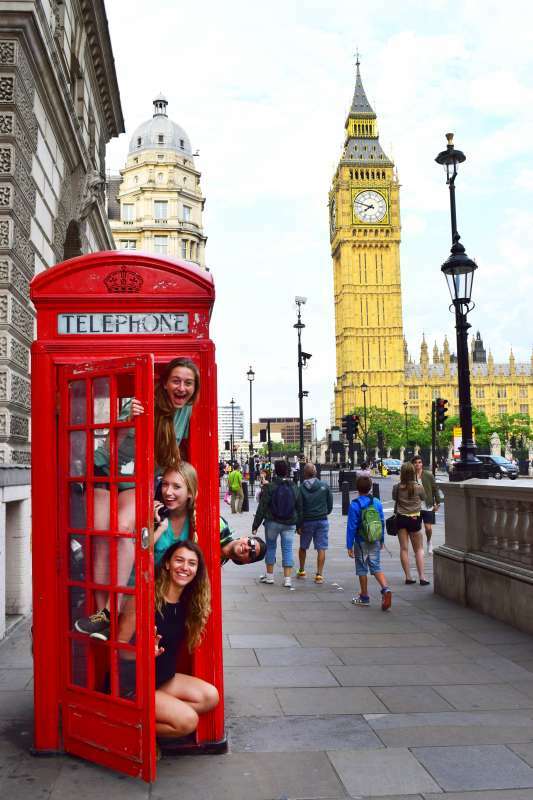 Join us this summer for the ultimate European immersion adventure! Spend three weeks exploring some of the best cultures and sites Europe has to offer. This program packs in seven different countries with a perfectly-paced itinerary to ensure you get the most out of each destination. Don’t just see these beautiful European destinations (although the views from atop St. Peter’s Basilica in the Vatican or the London Eye are not to be missed!). 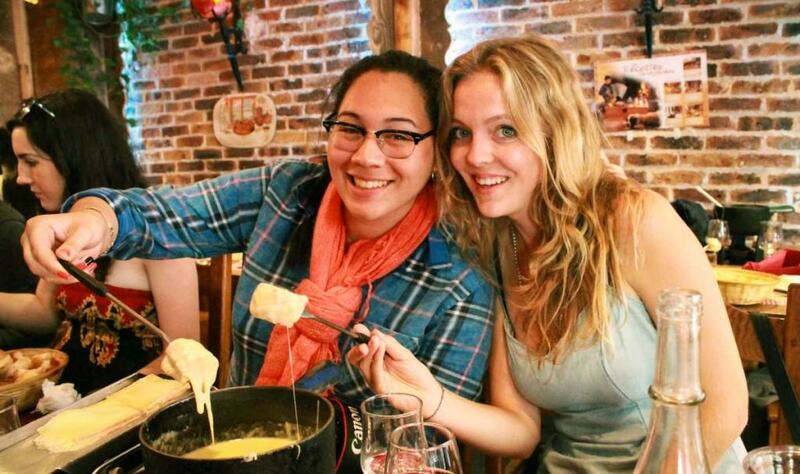 Our Ultimate Europe program puts a focus on experiencing and doing more! 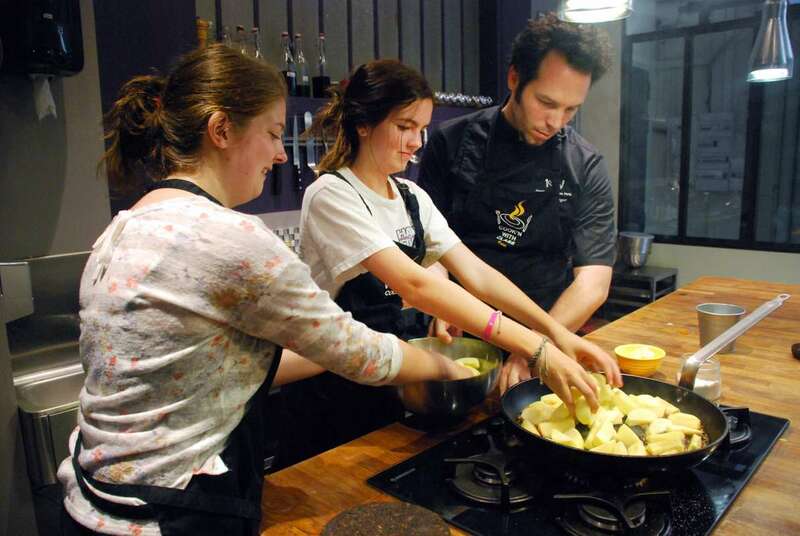 Whether that’s cooking lessons, bike tours, fun excursions or other cultural activities, our itineraries are constructed with fun activities to keep the traveling exciting and bring each unique culture to life! Take high tea in London, visit the Anne Frank House in Amsterdam, take a bike tour through Munich’s flower-filled streets, breathe the fresh Alpine air in Switzerland, tour the iconic Colosseum in Rome, browse the leather markets of Florence, and so much more. 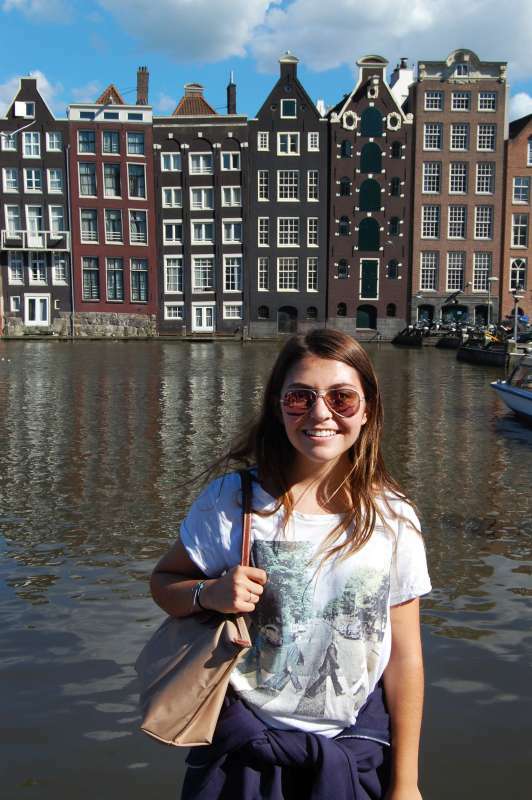 This trip is perfect for any teen looking to gain a global perspective while exploring diverse European cultures. Savor the world-famous Mediterranean diet as you sample local delicacies from each country, like during our private cooking class in Tuscany. Hike the rugged wilderness of the Swiss Alps and make new friends from around the world at a traditional German beer hall. Don’t just glimpse the sights through a bus window; ride the modern trains from country to country, immersing yourself in the best parts of each region and living like a local, so you can be a traveler, not a tourist! So what are you waiting for? Europe, with its rich history, diverse cultures, beautiful languages, and mouthwatering foods, is just waiting for you to discover it. Don’t miss out on this journey of a lifetime! After 21 exciting days in Europe, most participants choose to continue the fun as part of our full Ultimate Europe 30-day version of this program. Our adventure begins traveling around London. 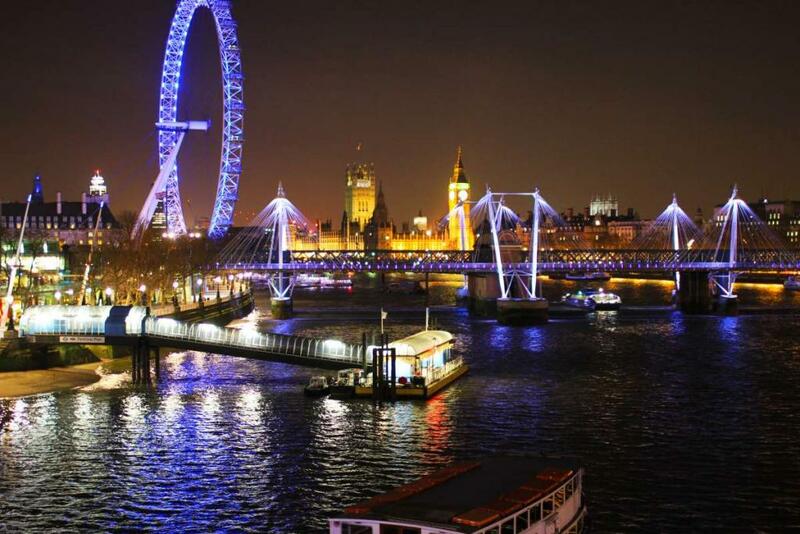 Bright, buzzing and full of life, London is one of the most eclectic and exciting cities in the world. You’ll see all of the main sites, including Big Ben, Westminster Abbey, the River Thames and the Houses of Parliament. 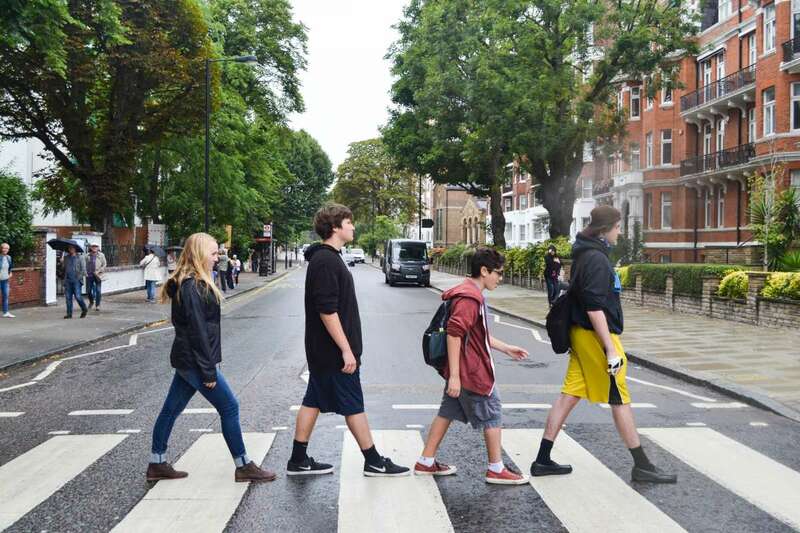 You will ride the London Eye for incredible city views, explore some of the greatest museums in the world, take a midnight ghost walk with the scariest guide in London, walk in the steps of the Beatles at Abbey Road, and shop at Camden Market with its urban appeal. Learn about the Tower of London’s gruesome history from a Yeoman Warder and see the Queen’s Crown Jewels. Witness the Changing of the Guard at Buckingham Palace, and even see a live West End show in London’s hip theater district! Bienvenue à Paris! Soak up the joie de vivre as you stroll the cobblestone streets of the Marais, Quartier Latin, and Montmartre. We’ll visit the Musée du Louvre – the world’s largest art collection and home to da Vinci’s beguiling Mona Lisa – and enjoy an afternoon of shopping along the Champs-Élysées, where boutiques from the world’s best designers line the wide boulevards. We’ll ascend to the very top of the Eiffel Tower, enjoy a twilight cruise along the Seine, and take in spectacular views of the city from atop the Arc de Triomphe. 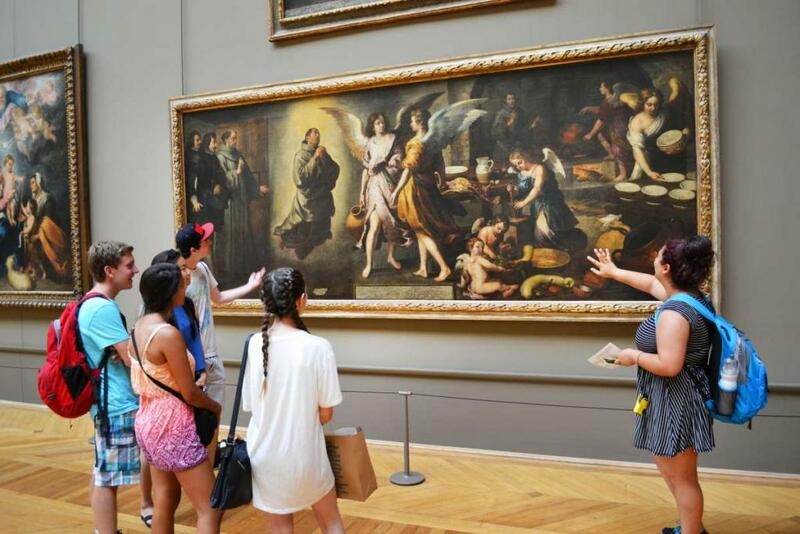 You may choose to visit the Centre Pompidou or the Musée d’Orsay, both home to sublime artistic masterpieces. Wander the ancient streets of Montmartre, once the city’s artistic center, also encompassing the infamous Moulin Rouge. The food is of course incredible, and the baguettes, escargot, crêpes, and fondue will be plentiful during our Parisian adventure! Welcome to Amsterdam! Doesn’t the very name conjure up visions of wooden shoes and tulips? This is a teen traveler’s dream destination. Known for its vibrant culture of young travelers eager to explore the city’s treasures, it is a sight to behold. Amsterdam is filled with bicycles and gorgeous old buildings, which makes it ideal for exploring on foot. Our focus is on providing a safe and energetic tour of this dynamic city, as we tour the Vondelpark, check out the masterpieces on display at the Van Gogh Museum and even take a walking tour through the notorious Red Light District. Throughout, we’ll peer back into the origins of Dutch culture, and pause to reflect on the events of modern history as we visit the Anne Frank House, where the famous diarist and her family lived while in hiding from the Nazi forces that occupied the city. Feel connected to her story when you see for yourself where they huddled for years making a life for themselves under very difficult circumstances. From the Netherlands, we move on to Munich, a charming Bavarian city known for its lively restaurants and beer halls, enchanting public gardens, and fascinating history. We will pay a visit to Dachau, one of the most sobering concentration camps. Once in Munich, we’ll bike through the cobblestone streets, and visit the iconic central square of Marienplatz. 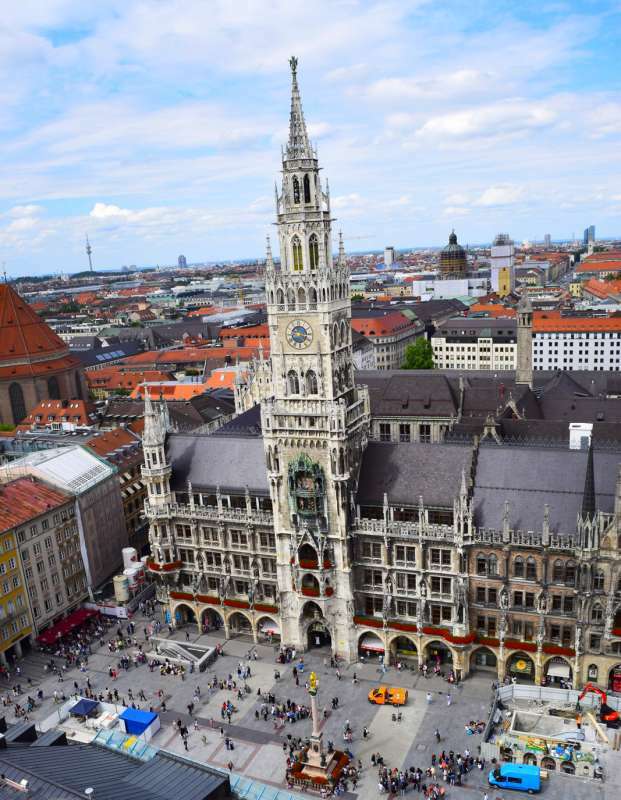 On our bike tour of Munich, we’ll learn about the most famous Glockenspiel in the world, explore the medieval heart of Munich, and see the famous wave surfers in the Englischer gardens. The surfers actually ride on the natural wave in the river that cuts through the park–an awesome sight! You’ll also have an option to take a day trip to the Bavarian Alps and visit the fairytale Neuschwanstein Castle, take a bike tour around the area, and swim in an Alpine lake! Travelers in the know head for the green valleys and dramatic alpine terrain of Switzerland. The backpacker mecca of Interlaken, nestled in a valley between two large lakes in the mountains, is our base to explore this elegant country and culture. Outdoor sports and activities abound for those who wish to breathe in the fresh mountain air. We will hike the Alps to discover breathtaking scenery and views and spend plenty of time getting to know traditional Swiss culture and history in the nearby towns. We will take a trip out to the larger lake for a sunset cruise and barbecue. This portion of the program is filled with optional excursions so you can have a program that’s made just for you. Choose to visit one of the tallest peaks in Switzerland and fly high above the Alps on a paragliding adventure! Florence was the center of the Italian Renaissance, where greats like da Vinci, Dante and Machiavelli completed some of their most famous masterpieces. En route from Interlaken to Rome, we’ll stop here and spend a few days absorbing this city’s artistic vibes. 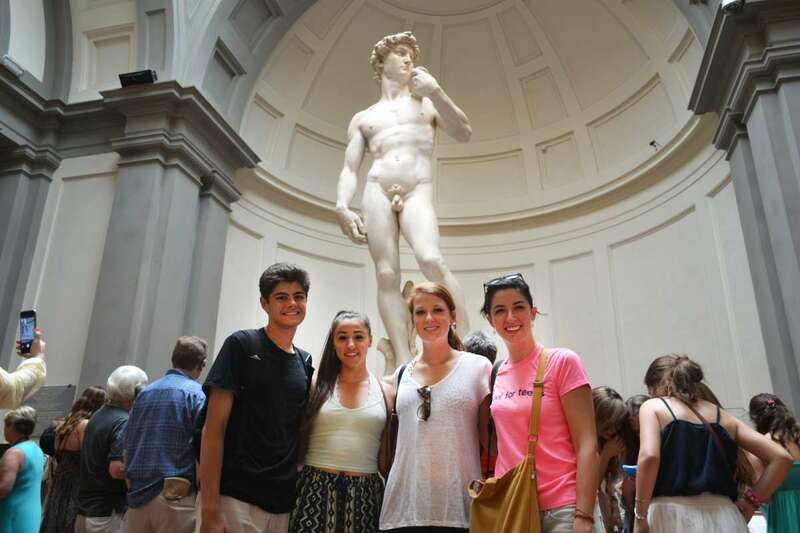 Stand in awe of Michelangelo’s gorgeous David at the Accademia Gallery – no other sculpture will be able to compare afterwards! In addition to the art and culture, enjoy some world-class shopping, including a special invite to one of the city’s best leather stores. Peruse the exquisite handbags and jackets and grab the perfect Italian souvenir. When we’ve had our fill of shopping and seeing the sights, we will enjoy amazing pizza dinners followed by homemade gelato at TFT’s favorite gelaterias. Finally, let’s not forget a visit to the Duomo (you can even climb to the top of the famous terracotta dome for a breathtaking view of the city!) and a sunset stroll over the Ponte Vecchio, Florence’s oldest and most iconic bridge that crosses the Arno River. The next stop on our journey takes us to the rolling green hills of Tuscany! There will be an optional excursion to a private vineyard just outside the town of Montalcino to experience the stunning Tuscan countryside in real Italian fashion. This day is a TFT favorite! We have an exclusive invitation to a family’s private Tuscan estate. We have been friends with the family for many years and they (along with their adorable young daughters) welcome us to their home and winery. We will receive a hands-on tasty Italian cooking lesson using freshly harvested vegetables straight from their garden! Enjoy a special tour of the winery where they produce award-winning wine and receive an introduction to this important part of Italian culture. The rest of the afternoon will be spent relaxing at their pool overlooking the rolling hills of Tuscany. For those who choose not to go on the excursion, stroll the quaint cobblestone streets of the hill town of Montalcino. Visit its beautiful medieval church and cathedral and check out the grand fortress before heading to the nearby town of San Quirico d’Orcia for some breathtaking views of this famous region. Everyone will then hop back aboard our private bus to finish the long-anticipated journey to Rome. When we arrive in the Eternal City it’s like being transported back in time. Rome never ceases to amaze with its talent for fusing ancient buildings and streets right into an incredibly modern and pulsing city. From the Colosseum, where we’ll envision the bloody spectacle of gladiator competition, to the Roman Forum, which once housed the ancient city’s bustling center and main marketplace, site of Caesar’s oratories and his death, our expert guides will bring Rome’s history to life. There’s no better way to learn about the Roman Empire than with a view of the city from atop the Palatine Hill- the very place where it all began. We’ll then fast-forward to the Renaissance, crossing the Tiber to Vatican City and marveling at the massive basilica dedicated to St. Peter. This is the largest church building in the world, and definitely the most impressive. St. Peter himself is entombed beneath its massive altar, and you can see Michelangelo’s breathtaking painting “Pietà” before staring up at the world’s most famous ceiling in the Sistine Chapel. We’ll stroll down the Tiber and venture slightly off the beaten path to Trastevere, one of Rome’s hippest neighborhoods, to see the local Romans in action and indulge in some of the best food in the city, including fresh homemade pastas or pizza al taglio. Shop on the famous Via del Corso, toss a coin over your shoulder into the Trevi Fountain and hang out on the Spanish Steps enjoying a classic Roman evening of people-watching in a beautiful piazza. On this program we stay at centrally located hotels and high standard hostels in ensuite private rooms. For example, in London we stay in close proximity to metro stations and London King’s Cross train station, for easy access within the city and to our next destination. In Rome we stay at an elegant hotel near the central Piazza Santa Maria Maggiore, close to the city center and the main train station. Our hotel in Munich is a favorite, right in the city center with modern rooms and fast wifi – perfect for Facetiming home and telling your parents all about your adventures! Students love that this truly is the ultimate Europe adventure! Packing in seven different countries, yet at a comfortable pace, it’s the best Europe has to offer wrapped up in one month. 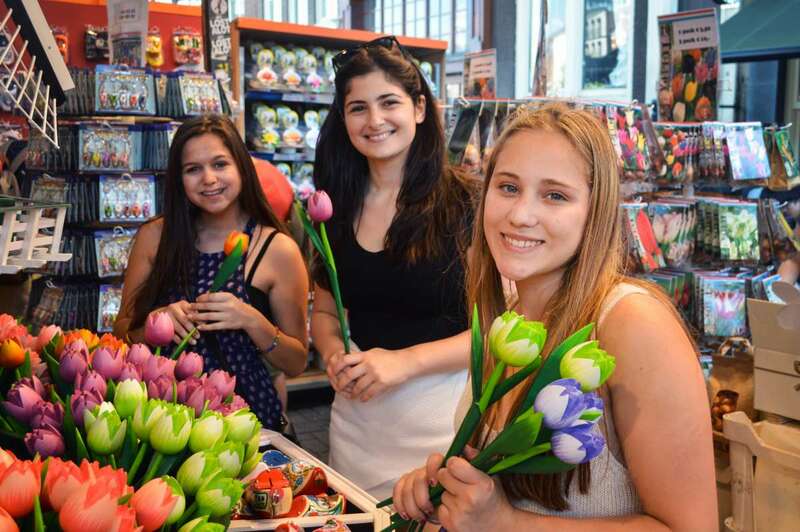 Teens love that this program is hands-on and provides much more depth than the standard sightseeing European tour. 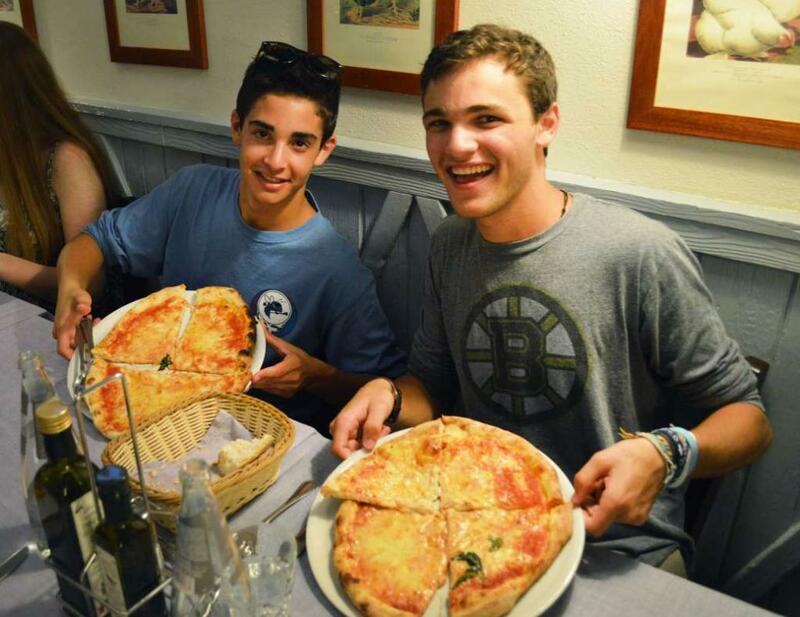 The combination of all the major sights, engaging activities like kayaking, cooking lessons, and bike tours as well as ample free time to choose between activities in order to tailor their own incredible itinerary, means students love their Ultimate Europe adventure! This program provides the best combination of dynamic cities and outdoor adventures. Touring and sightseeing in large cities can become overwhelming, so we include fun activities to keep the traveling engaging and exciting! 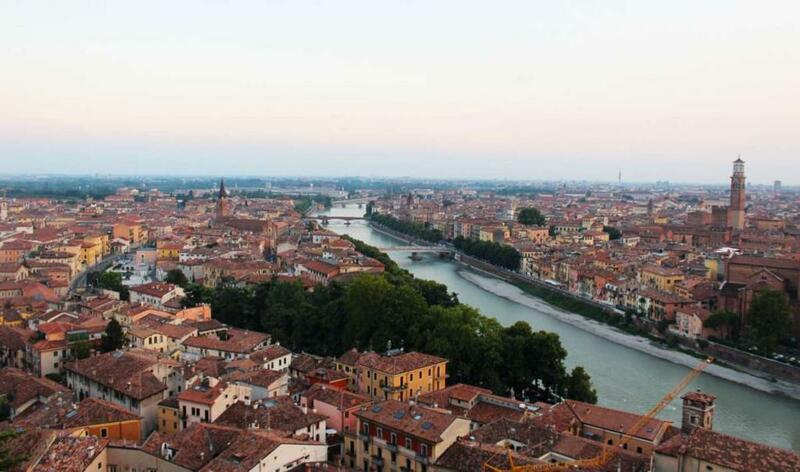 Whether it’s attending an event at a leather shop in Florence, taking an Italian cooking class or biking through the Alps, each day is sure to leave you inspired and having a blast! 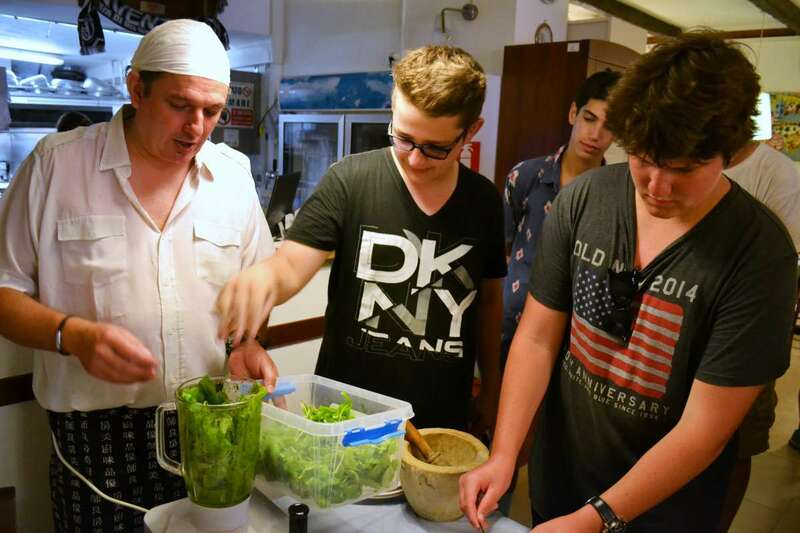 This program really offers a culinary odyssey through so many amazing cuisines. In London, we’ll sample cuisine from all over the world–after all, London’s population is the most diverse in the world! We’ll also enjoy traditional British fare like fish and chips and meat pies. Experience a wide variety of Dutch cuisine and indulge in some of the city’s favorite specialties, including sweet and decadent stroop waffles and even enjoy a tasty pancake dinner one night at one of the city’s most famous pancake houses! We will also sample some of Holland’s famous cheese and for those who dare, try a salty herring sandwich! In Germany, we’ll have a chance to discover delicious Bavarian specialities. German cuisine is primarily based around bratwurst (sausage), schnitzel (breaded meat), and potatoes (in every form you can imagine!). 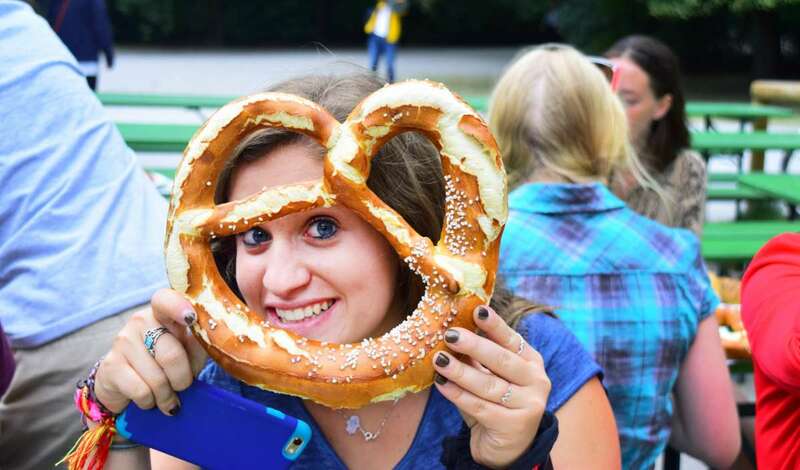 Students will also get a chance to sample authentic German pretzels, of course! During your time in Italy, mouthwatering pizza and pasta and incredible seafood are all on the menu, with a pesto cooking class and of course plenty of delicious gelato! Any US citizen that enters the UK is automatically granted a free 180-day tourist visa.